The Fabulous Fadjur with Kathleen Tone Hammer at Jack Tone Ranch. 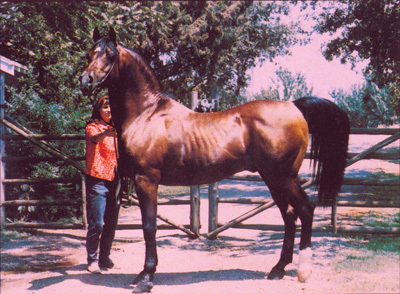 Shown in 1968 at age 16, after returning from his U.S. Reserve National Champion Stallion win. Jack Tone Ranch continues with infinite love, honor and respect for the accomplishments of Marjory & Jack Tone. In our Tone family tradition, Jack Tone Ranch is the source for horses developed through Marjory F. Tone's breeding program. 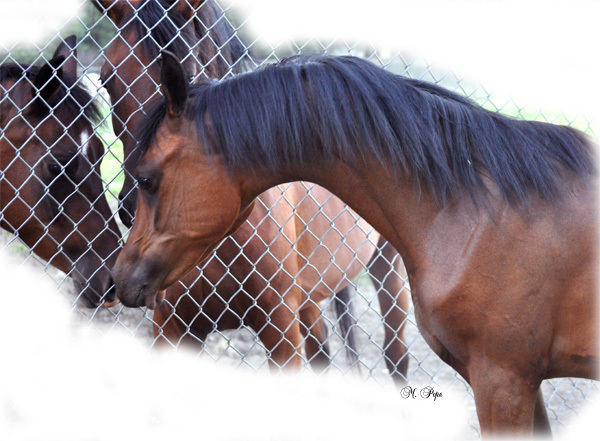 Here you will find Arabian horses produced from Fadjur's best sons and daughters, the individual descendants selected by Marge Tone to guarantee Fadjur's influence through the ages. Jerry & Kathleen Tone Hammer, in concert with their children & grandchildren, are very proud to carry on the legacy and legend of Jack Tone Ranch. Visitors are always welcome at Jack Tone Ranch! Please plan to visit soon. Won't you join us for a "virtual" tour? We'll start with News and Events, at the Main Barn. Fadjurz Magnificent (Fadjurz New York x SS Nightengale) line-bred Fadjur yearling colt 5 generations of Jack Tone Ranch breeding with 7 crosses to Fadjur.